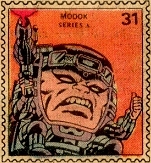 … he looked like THIS in the pages of Marvel Comics! 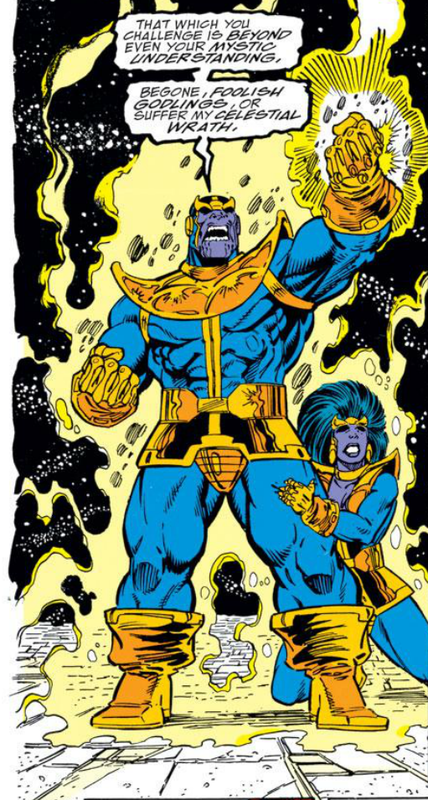 Share your favorite Thanos moments in the comments section, below! 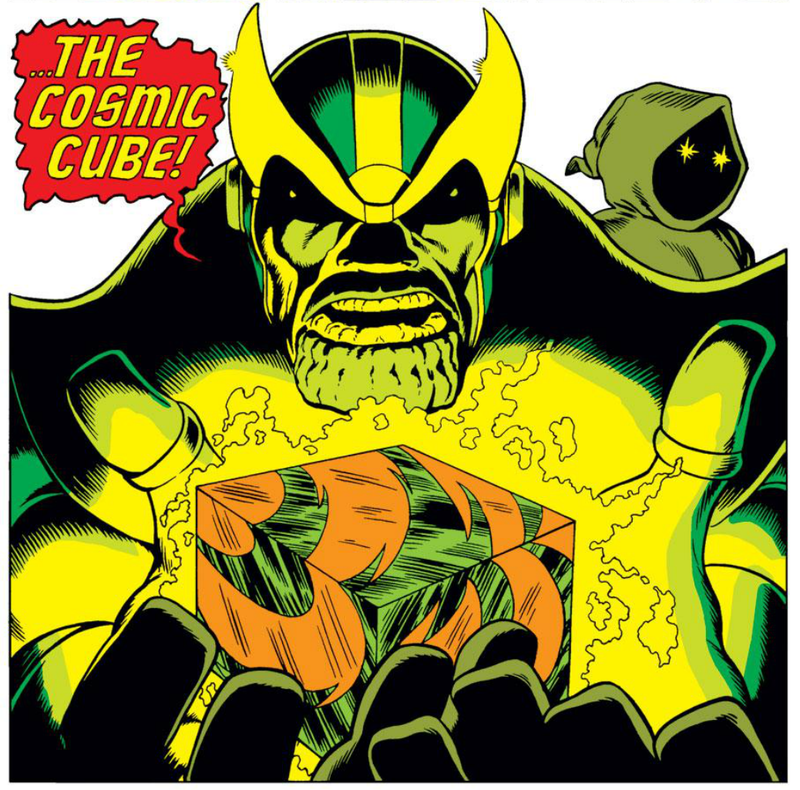 Longbox Graveyard’s run-up to Avengers Infinity War continues with today’s look back at one of my favorite comic book villains: Thanos! And why is Thanos a favorite? 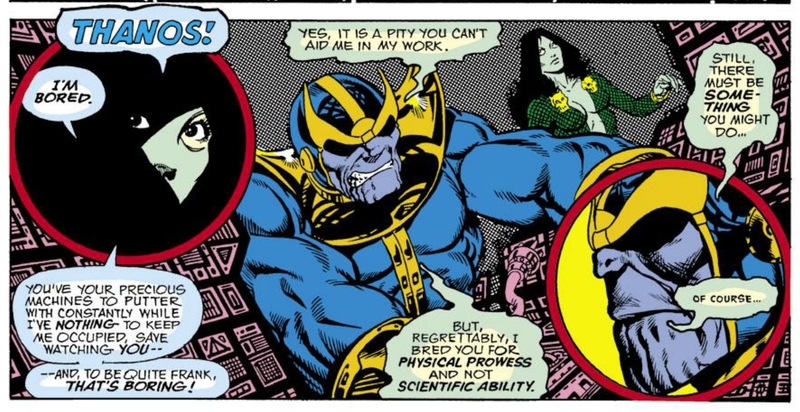 and here, Thanos may be asking HIMSELF why he picked Gamora! 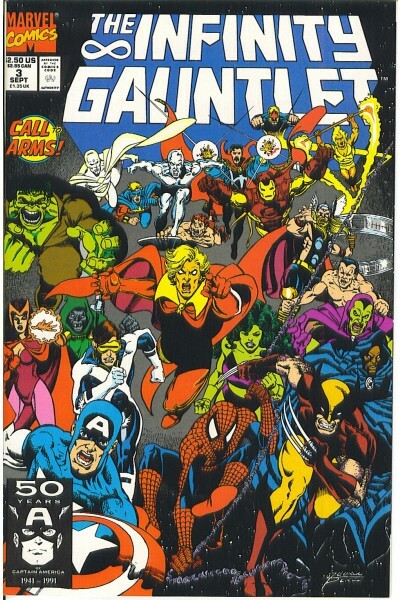 Thanos is certainly fashionable, having headlined a score of comics series, and making a memorable appearance in the post-credits scene of 2012’s Avengers … but here at Longbox Graveyard I am stuck in 1978, and my affection for the Mad Titan goes back well before Thanos’ recent stardom. 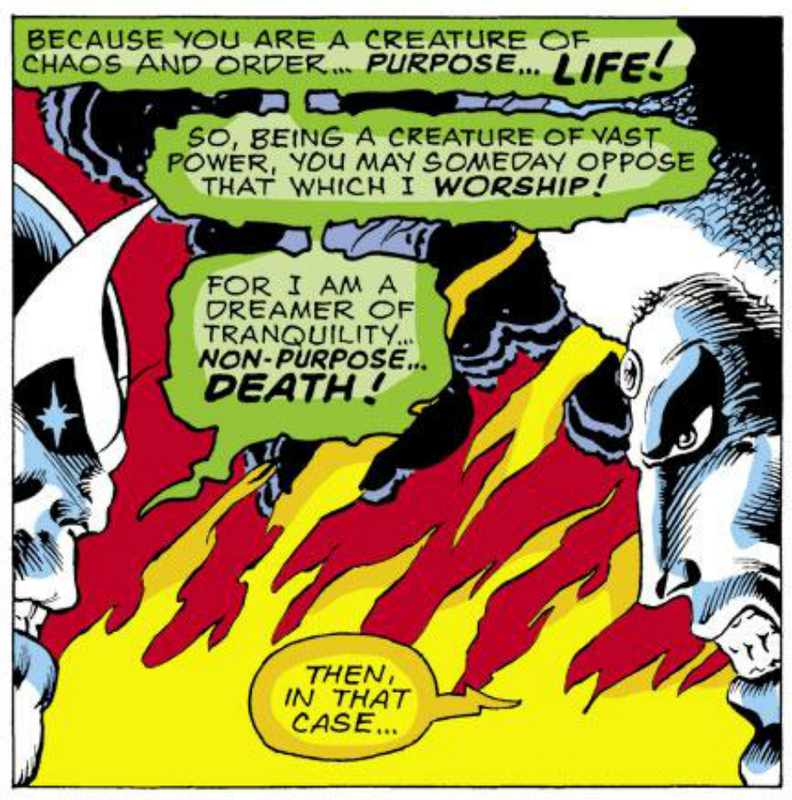 The easy answer is that I was an alienated teenaged boy in the 1970s, and alienated teenaged boys have a natural affinity for death gods who kill lots of people and sit on a throne of bones in their awesome Palace of Death. So, there’s that. 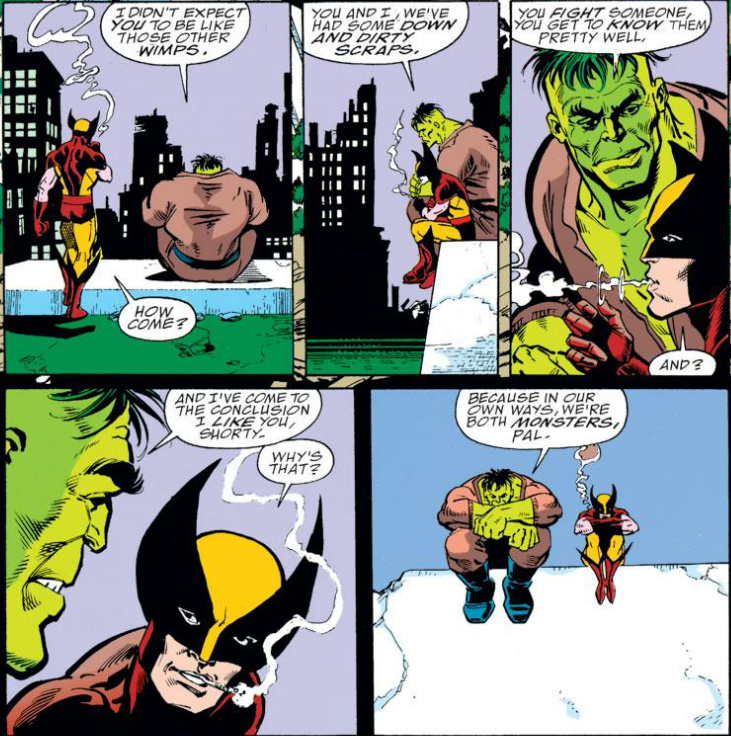 But my attachment to Thanos ran deeper than his heavy metal trappings — and besides, plenty of people besides me like Thanos, and they’re not all alienated teenaged boys! So there has to be something deeper going on with old purple-puss. 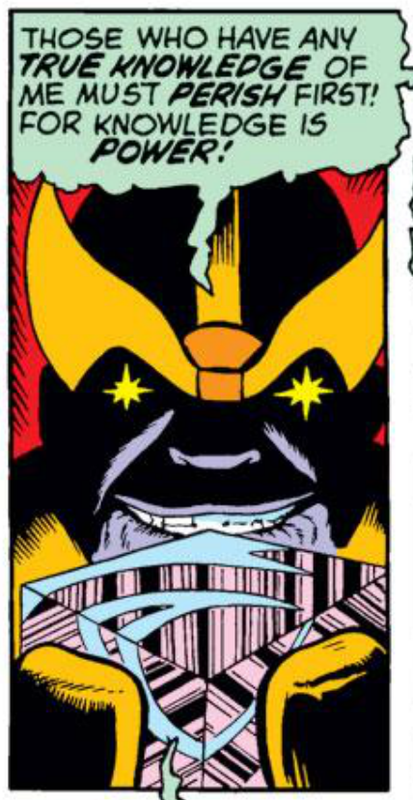 And I think what sets Thanos apart is his motivation. Comics are full of megalomaniacs motivated by revenge, ego, greed, or a warped sense of justice, or even by trivialities, like being enraged over losing their hair. 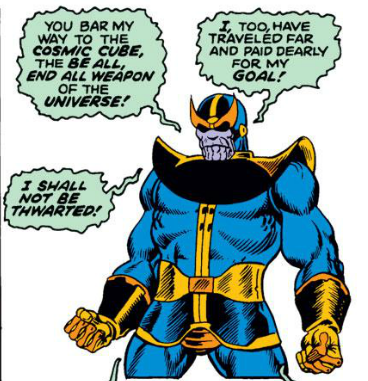 I think what fascinates me about Thanos — and what makes him great — is that when Thanos goes off on one of his periodic rampages trying to kill everyone in the universe, he isn’t doing it out greed or madness or a lust for power. He’s doing it for love! It wasn’t always thus. 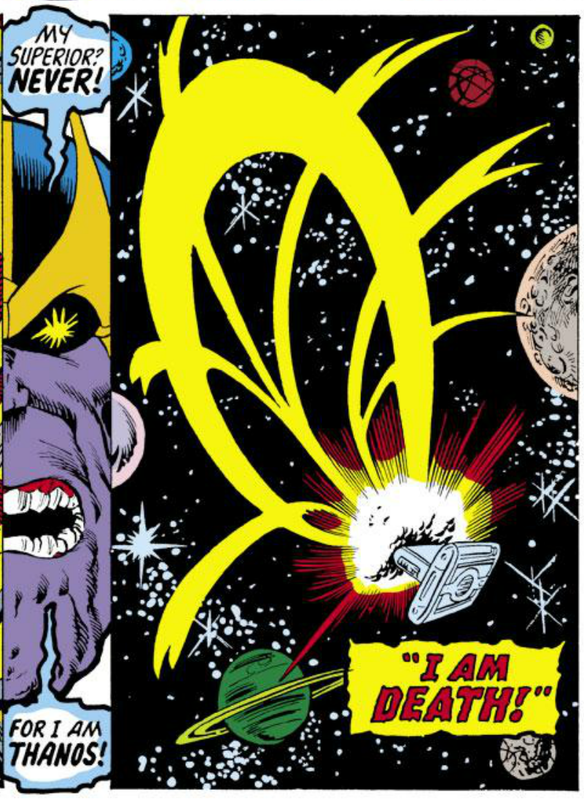 When Thanos made his first appearance, in the peculiar Iron Man #55, Thanos was just another outer space Hitler. 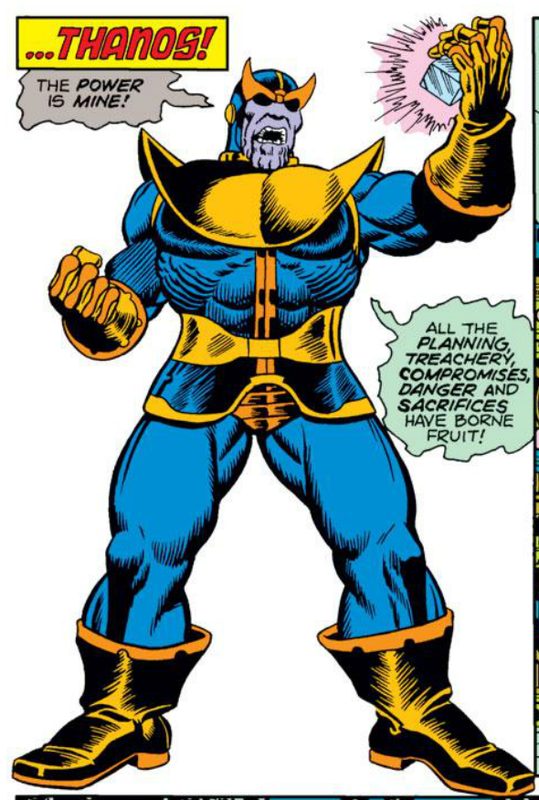 Supremely confident, our villain introduced himself as Thanos the First, soon-to-be-emperor of Earth. 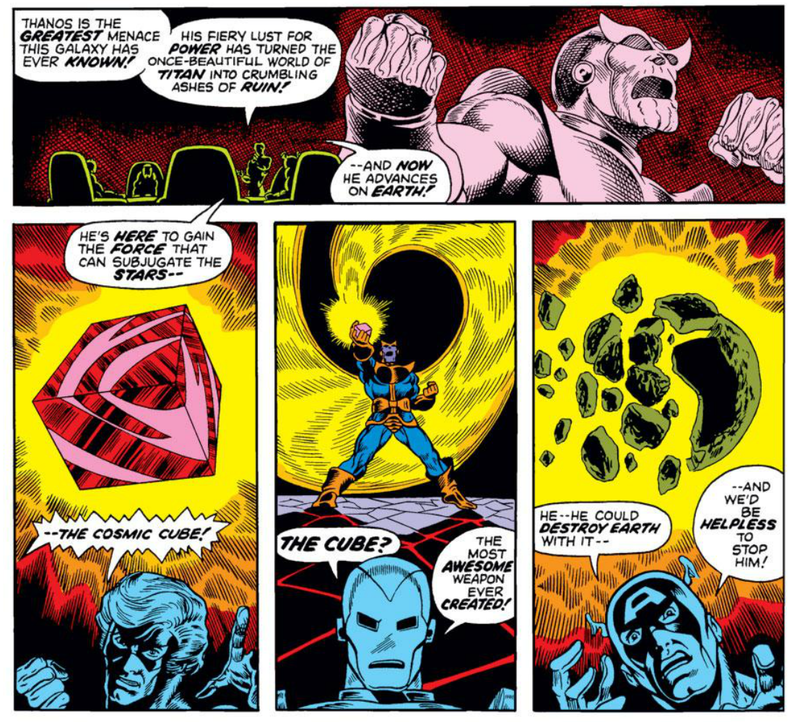 Iron Man would have none of it, and in concert with Thanos’ arch-enemy, the Destroyer (also introduced this issue), Shellhead quickly put paid to Thanos’ plans. 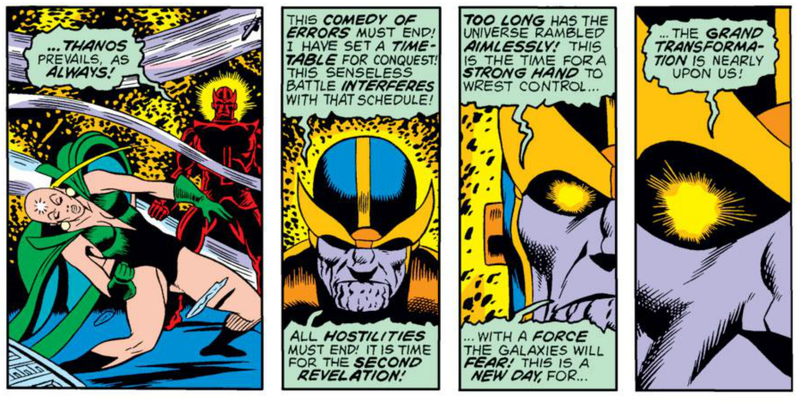 That single-issue space opera might have been forgotten, had not Jim Starlin brought Thanos back when Marvel tossed him the keys to Captain Marvel several months later. 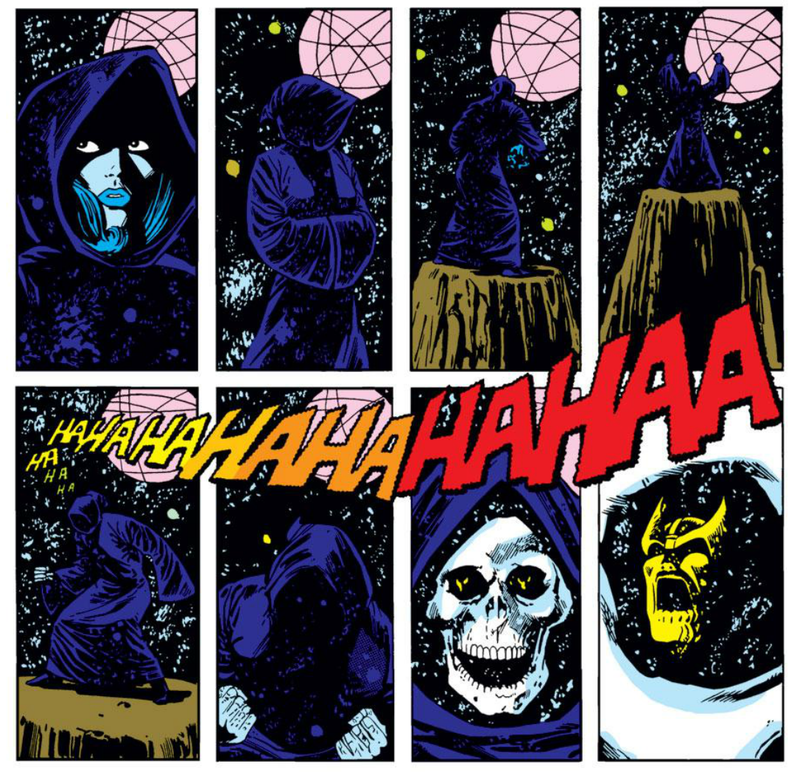 But there was one very important addition for Thanos in his sophomore appearance, in the pages of Captain Marvel #26 … that ominous hooded figure to Thanos’ right! 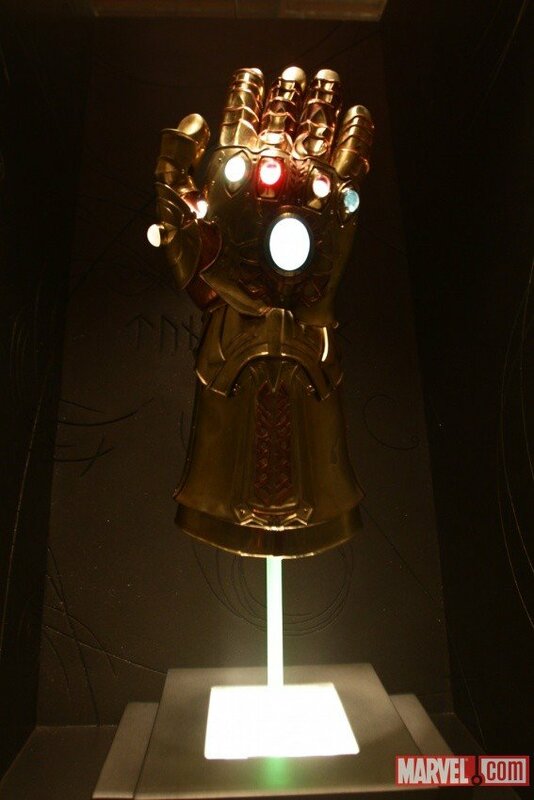 Thanos has given himself a promotion, saying that he will now shortly be Emperor of the Universe (! ), but more importantly, he says that he “recognizes death as (his) only comrade.” It sounded like a metaphor, but it was so much more. 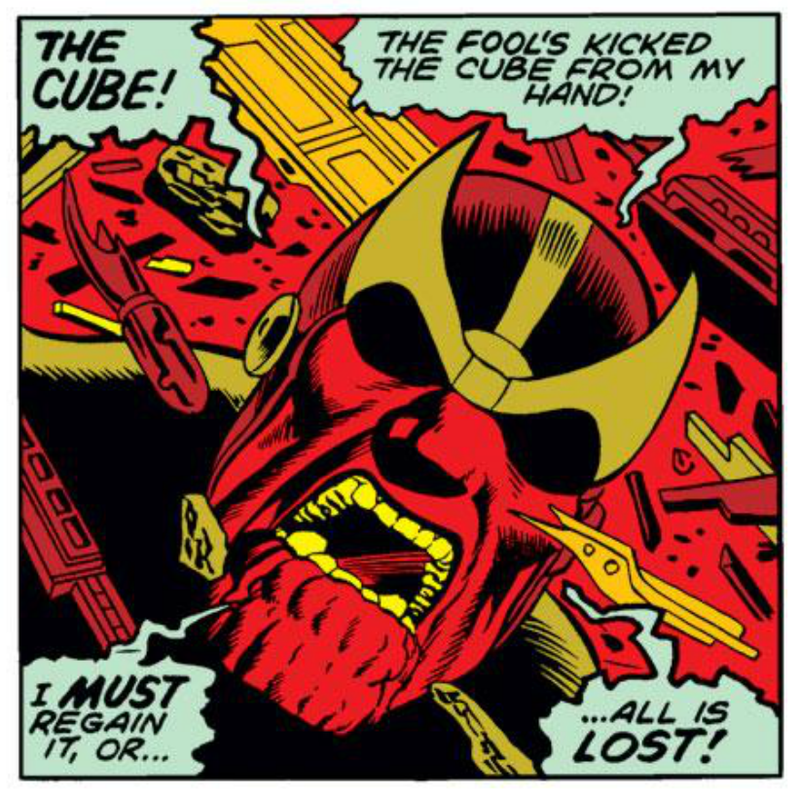 If all Thanos wanted to do was spill blood while grinding the universe beneath his heel, he likely would have been consigned to the dustbin of history long ago. No, what makes Thanos a classic villian are not the things he does so much as the reason he does them — love. There’s that word again — love! 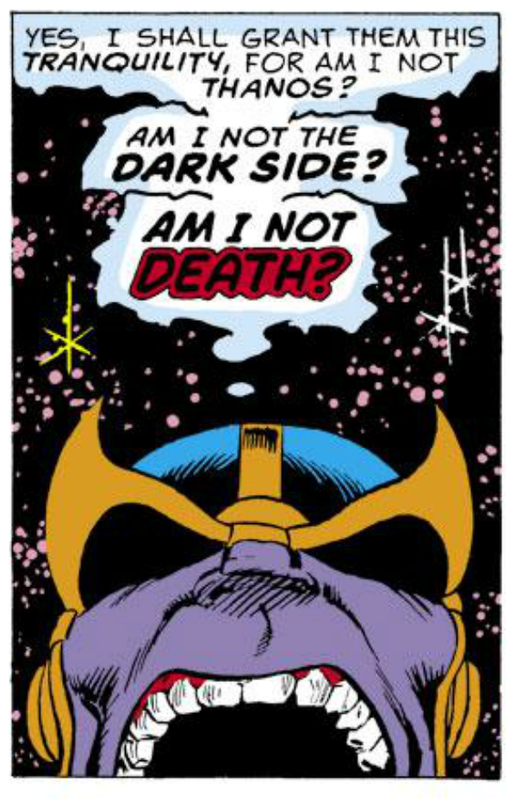 It is a literal love of death that drives Thanos. This is important, because it makes Thanos — for all his cosmic scope and scale — a relatable and even human figure. Outside of the occasional game of Risk, few of us will ever try to conquer the world … but all of us know what it means to be in love. Thanos’ love is twisted, dark, and evil, but it is still recognizably love, and when people are in love … they do crazy things. Ah ha! The circle closes! 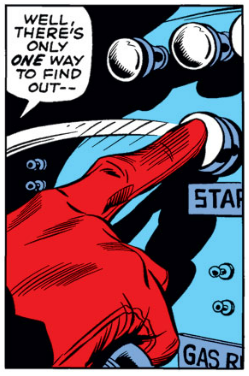 No wonder Thanos feels so personal (and small wonder that Starlin recalls conceiving of the character during a college psychology course). The way Thanos loves is obsessive, twisted, and wrong, and is just one of the many obsessive, twisted, and wrong things that lurk in the hearts of even the best of us. 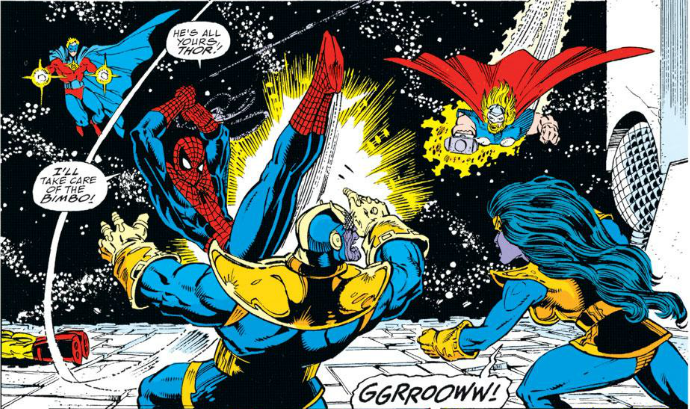 Finally, Thanos’ unrequited love of Death affords him one more critical component that all classic characters must have — a weakness! To love is to expose yourself, to trust another person with your deepest secrets and longings. 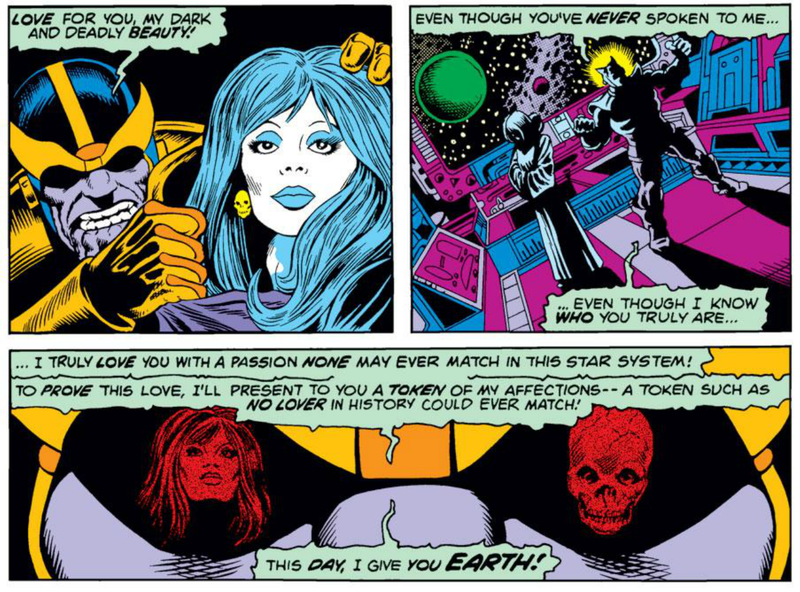 In courting death, Thanos has chosen … poorly. 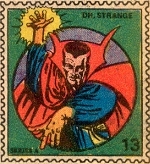 … and it is not just that Death refuses to return Thanos’ love, delighting instead in manipulating and tormenting him. Plenty of people are stuck in dysfunctional relationships — and this makes Thanos that much more relatable — but more important is that this mass murderer has a wounded heart. He is a slave to love. Again, this is something to which we can all relate … and is infinitely more interesting that a vulnerability to glowing space rocks, or the color yellow! 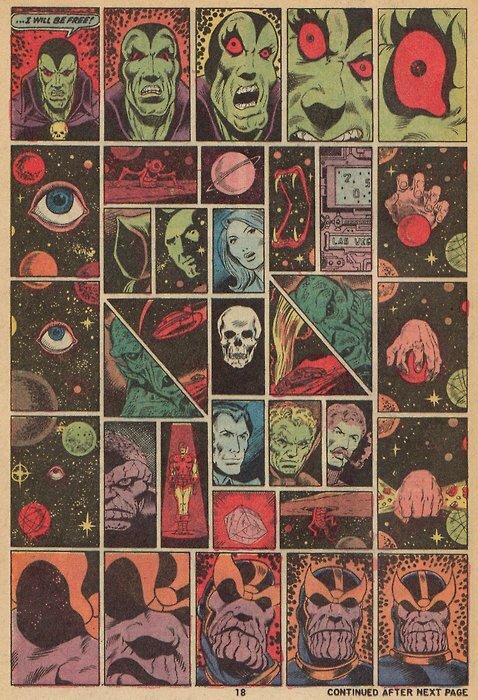 This most cosmic of villains has the most human failings of all. 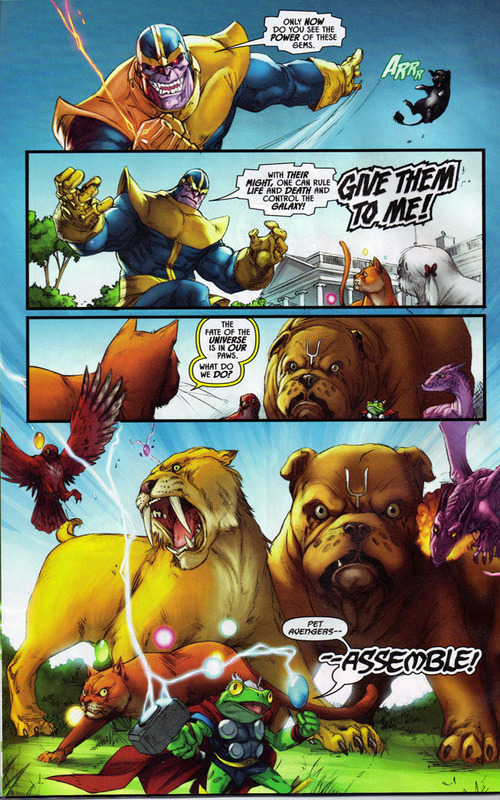 That’s the reason I so love Thanos — there’s a little Thanos in all of us! 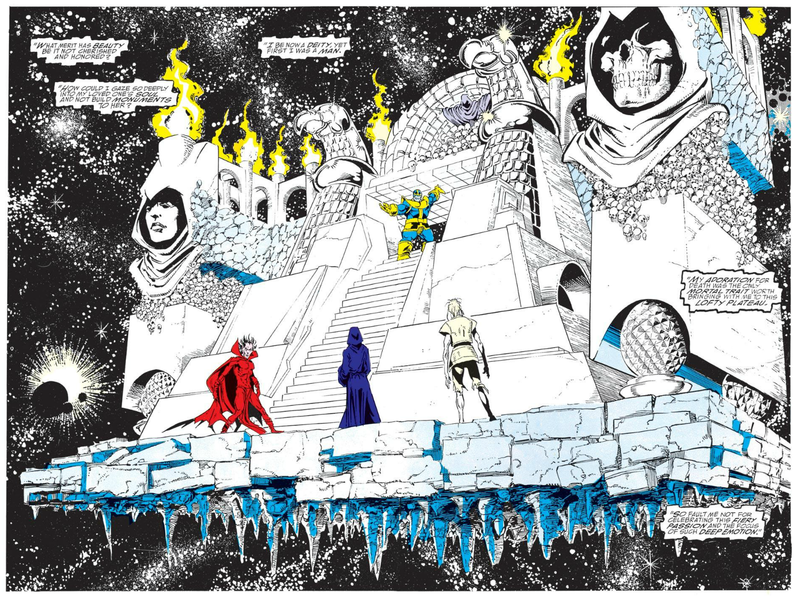 Thanos & Death — holiday snapshot! 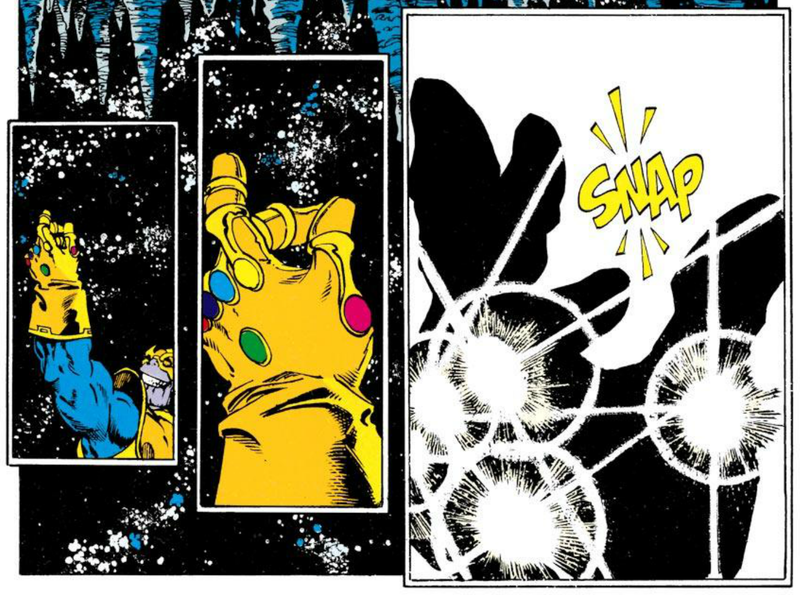 Share your own Thanos holiday memories in the comments section, below! Then I had to ask myself why I’d picked Thanos. 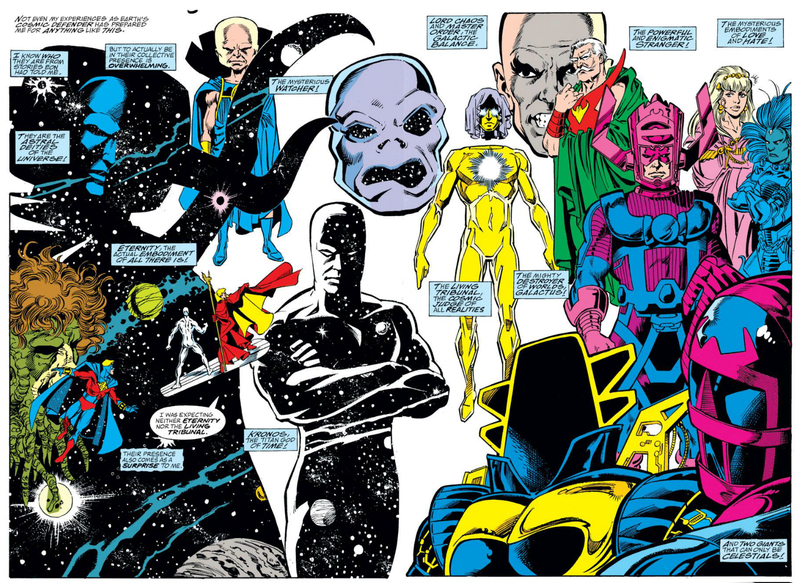 And while I could go on about Thanos all day, I’m going to hold myself to a thousand words, both so I do not further try your patience, and also so you’ll have time to explore some of the other villain-focused articles that are part of today’s Super-Villain Team-Up. Please mouse on over to any or all of the articles below — and tell them Longbox Graveyard sent you! Silver Age Sensations — The Voracious Villainy of The Crimson Dynamo! IN TWO WEEKS: #132 The Coming Of … The Falcon!